Side Street Projects present Sculpting Social Landscapes, a public art project by artist Katya Khan – an interactive outdoor installation which will be created through a series of community based art events. People of different ages and abilities are invited to play and socialize in the process of constructing a temporary mini-landscape for physical and sensory exploration. Sculpting Social Landscapes addresses people’s alienation from outdoors, broken linkage in inter-generational communication, and a deficit of open space in the North-West section of Pasadena in particular. The installation will include five elements: an area planted with wild grasses and flowers, adobe huts surrounded by turf covered mounds, “loose parts” area with sand and gravel, and a labyrinth which will run throughout the whole area connecting the elements with each other. The creation and future use of every element designed for this project will encourage various physical activities and sensory skills: labyrinth will help moving throughout the site, plants will stimulate smell and tactile perceptions, “loose parts” will work with fine motor skills. The events are open to everyone and will involve specific groups from the area, such as children and teenagers from local organizations, seniors from local center and Tierra del Sol Foundation students. A multidisciplinary group of collaborators will engage public in specific activities intended to activate the use of the space and broaden users’ sensory experiences. Cal Poly Pomona undergraduate landscape architecture students will share their knowledge on history and different types of labyrinths. Adobe construction specialist Michael Leach will teach traditional building technique – a unique sensory therapy engaging body from toes to fingers. Musicians, Joe Berardi and Kira Vollman, will create an interactive sound installation in the labyrinth and perform a piece composed from the sounds collected at the events. An artist Frances Garretson will interact with participants through a cooking and food sharing, engaging one of the necessary senses – taste. The project will create a space where people, old and young, will interact with each other and be exposed to natural environment in an active way. 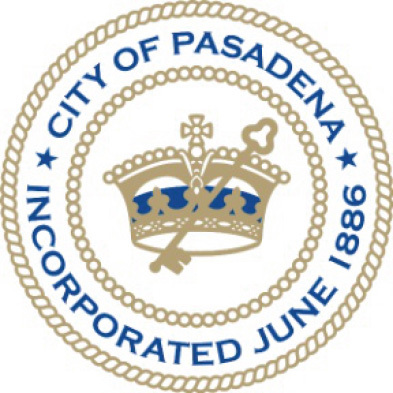 and the City of Pasadena Cultural Affairs Division and an ARC grant from the Center for Cultural Innovation.